There are many different opinions as to what the future of the blues harmonica will be. 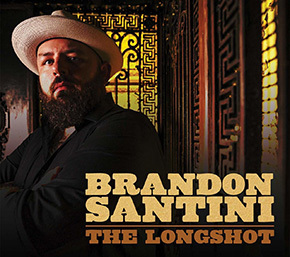 International touring vocalist and harmonica player Brandon Santini is undeniably a worthy player to keep an eye on as the latest surge of young blues artists leave their footprint in blues history. 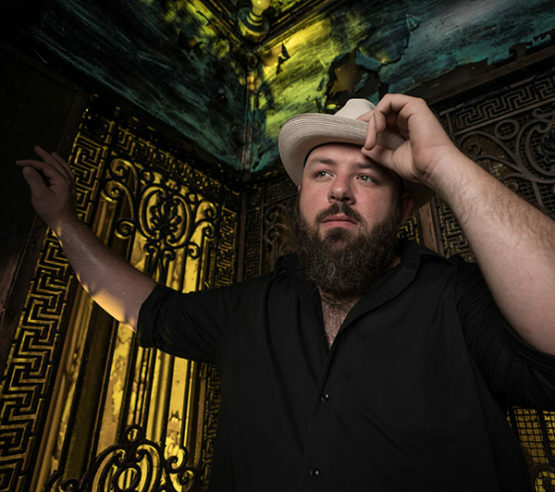 His name is worthy of conversations that include James Cotton, Kim Wilson, Dennis Gruenling, Charlie Musselwhite and other frontline harmonica players by combining his love and respect for traditional blues with a present, colorful style of playing that is often compared to James Cotton or Paul Butterfield. Raised in the Piedmont region of North Carolina, Santini purchased his first harmonica in 1997 at the age of fifteen when his mother took him to the local music store upon his request. He founded the Blues Music Award nominated band Delta Highway in 2003 and relocated to Memphis where he absorbed the sounds and culture of the Delta and North Mississippi Hill Country, honing his craft night after night, sweating it out in local Beale Street clubs just like Robert Johnson, Muddy Waters, and B.B. King did decades before him. Now playing over 100 shows per year throughout the world, Santini has garnered five Blues Music Award nominations, festival headlining slots and even performing on stage with the likes of Buddy Guy and Gary Clark, Jr.
Brandon Santini’s latest release, The Longshot, from the American Showplace Music label takes listeners on a slight detour from the traditional blues highway he has logged many miles on. One may not be surprised that the 36 year old vocalist and harmonica player is influenced and inspired by legendary rock artists such as The Rolling Stones, Tom Petty & The Heartbreakers, The Allman Brothers Band and Creedence Clearwater Revival just as much as Little Walter, Muddy Waters and Howlin’ Wolf. From the ferocious opener, “Don’t Come Around Here” to the embattled acoustic American driven, “Broken Bones,” Santini ties his blues and rock influences together to deliver an energetic album of introspective heartbreak and lament.